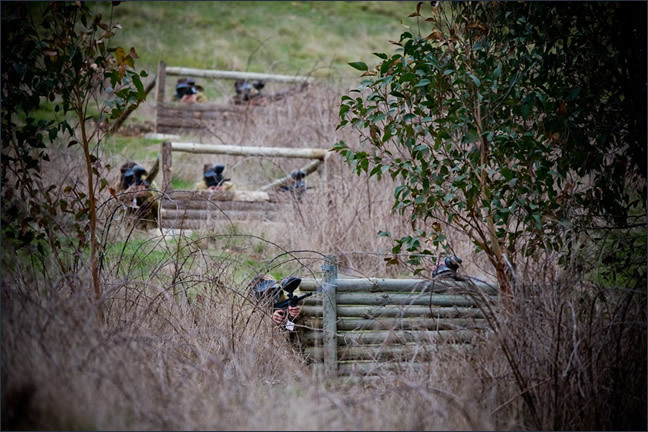 Throw your teenage or kids parties at Adelaide’s most popular Paintball Park! All your friends have played paintball and raved about how awesome a day it was. 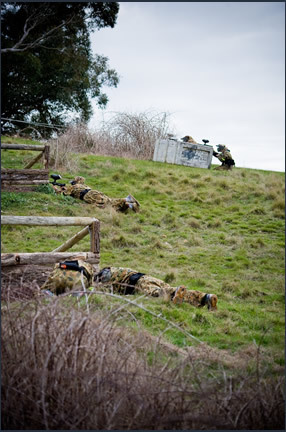 Kids parties events around Adelaide have never been more exciting than with Paintball Sports. Now it’s your birthday and it’s your turn to play! And why not – it’s your right of passage on the journey to adult hood. There is only one obstacle to cross, before you can partake in the most amazing kids parties events Adelaide has to offer. You need your parents’ permission. OK so let’s work together on this. The foremost question in your parent’s minds may be “Is it safe”. Well paintball is safer than playing any sport you may normally play at school, so it sure makes for safe kids parties activities too. Here is a link to a report that shows it is way safer than playing tennis! We also have senior first aid trained staff on site and first aid kits. At Paintball Sports we have a minimum age of 12. Some places will accept kids as young as 10, but we think 10 is too young to remember all the safety rules, so we have raised the bar by 2 years. That should put your parents’ minds at rest on the safety side of things. Their next issue may be the cost. After all if they are paying for you and a few friends they don’t want a nasty surprise if you all rack up heaps of dollars shooting extra paintballs. What a lot of parents do if they are paying for the party, is to tell the kids to bring their own pocket money if they want any extra paintballs. And if the parents let us know there is a limit to the number of extra paintballs the group can get, we will not let the group have any more than that. So I think we have that covered. They also might be concerned that the kids might be playing games that are not suited for kids parties events. Paintball is a lot less adult than most computer games that teens play these days. What we do is to encourage teen birthdays on Sundays or on week days only during school holidays. The reason for that is a lot of teens have sporting commitments on Saturdays, and also that Saturdays are generally very busy with buck’s parties and adult birthdays. It’s a lot better and more fun for every one if we separate the teen and adult days as much as possible. Another thing that parents may have to consider is how to feed a hungry bunch of young soldiers after they return from the battle fields. Well we have got that covered. Snacks and soft drinks are available for sale, and we have a BBQ area that can be used free of charge. That’s four issues down and one to go. How to get everyone to paintball and back? Well that’s one thing we can’t help with other than suggesting carpooling or a minibus hire. Still four out of fives not bad? Being under 18, just like in school, parental consent forms will need to be filled out and handed in on the day for every child wanting to take part in our kids parties activities. You can download the form here and email it out to all your friends. After getting your parents’ permission it’s so easy to organise the greatest kids parties ever. Just book online now to select the date you want, and then spread the word around about the big day.